Gonzalo Sánchez de Lozada y Sánchez de Bustamante, familiarly known as "Goni", is a Bolivian politician, businessman, and former President of Bolivia. When Gonzalo Sanchez de Lozada became president of Bolivia in August of 2002, a social and economic crisis was brewing. With a stagnant economy, the nation of eight million had become South America's poorest country and the impoverished Indian peasants remained unconvinced that their government could help. Supporters hoped Sanchez de Lozada could work a miracle-after all, he had been president before, from 1993-97, during which time Bolivia enjoyed moderate economic growth due to his liberal reforms. This time, however, Sanchez de Lozada's ideas were met with opposition and protestors took to the streets, demanding his resignation. The president called on his army to restore order. Bloody confrontations ensued and an estimated 70 people died. In the end, Sanchez de Lozada resigned and fled the country after only one year in office. Gonzalo "Goni" Sanchez de Lozada was born on July 1, 1930, in La Paz, Bolivia. When he was one, his family moved to the United States when his diplomat father, Enrique, was assigned to the Bolivian embassy in Washington, D.C. Soon, the Bolivian government changed hands and the family was exiled. Enrique turned to teaching, holding positions at Harvard University and Williams College. As a result, Sanchez de Lozada spent his childhood in Washington, Boston, and Williamstown, Massachusetts. English became his first language, but his mother insisted he learn Spanish, his native tongue. After earning a philosophy degree from the University of Chicago in 1951, Sanchez de Lozada returned to his homeland and tried several business ventures. In 1953, he founded Telecine Ltda., a documentary and commercial film production company. In 1957, he launched Andean Geo-Services Ltd., a company that took aerial photos for oil exploration companies. He found his niche in 1962 when he founded Compania Minera del Sur (Comsur), which means "Mining Company of the South." He made a fortune through Comsur, which mined zinc, tin, gold, silver, and lead. Along the way, he married a former Miss Bolivia, Ximena Iturralde Monje. They had two children. Sanchez de Lozada's mining interests made him wealthy and influential. He turned to politics, serving in parliament from 1979-80 and 1982-85. From 1985-86, he served in the Senate and from 1986-88 was Minister for Planning and Coordination. In this capacity he gained attention for his economic reforms that halted hyperinflation. In 1988, Sanchez de Lozada became the leader of the Nationalist Revolutionary Movement party and was elected president of Bolivia in 1993. The country was a mess. Unemployment hovered around 30 percent and 70 percent of Bolivians lived in poverty. To ease the situation, Sanchez de Lozada turned to foreign investors, hoping an influx of their money would kick-start the economy, thus creating jobs and reducing poverty. One of his most controversial reforms involved privatizing state companies, such as YPFB, the country's gas and oil company. State companies were sold to the highest bidder, who gained management control as well as half the shares. The remaining shares were to be divided among Bolivia's adult population and held in retirement accounts. Other reforms included a new federal funding formula that sent more money to poor municipalities and Indian villages for things like schools and roads and water and electric projects. At the time, Sanchez de Lozada bragged about the reforms to New York Times writer Calvin Sims: "It's very exciting because we are seeing democracy working the way it should: the people are spending their money the way they want to spend it." 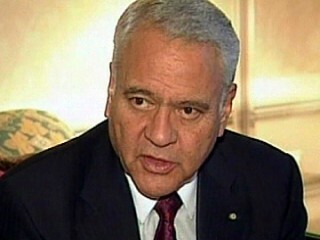 His term ended in 1997, but in 2002, Sanchez de Lozada became president once more. Again, the nation was in crisis, bogged by a stagnant economy. Social unrest was growing. Partway through his first year in office, Sanchez de Lozada created an uproar with his plan to let foreign investors build a $5 billion pipeline through Chile to export Bolivia's natural gas to the United States and Mexico. Some worried the plan involved corruption; others worried the revenues Bolivia was to get-estimated at $1.5 billion per year-were inadequate and that in the end, the project would benefit wealthy foreigners more than the poor peasants at home. According to the Montreal, Quebec, Gazette 's Larry Rohter, Bolivian Luis Alberto Javier summed up the situation this way: "We've always exported our natural resources, like silver and tin, to others, so that they get rich and we remain poor." Bolivians also resented that Chile was involved in the proposal. The neighbors have a history of conflict, resulting from an 1879 war in which Bolivia became landlocked after losing its coastline to Chile. Sanchez de Lozada was lambasted for being too chummy with his country's long-standing rival. Bolivians were also distraught about Sanchez de Lozada's commitment to an aggressive, United States-backed coca eradication program. Coca, the raw material used for cocaine, has been a staple among Bolivia's indigenous culture for decades. It is grown legally for tea and chewing. In recent years, the eradication program had forced the closure of many coca plantations, leaving farmers even poorer. In September of 2003, the nation's poor Indian peasants began protesting the president's policies. In time, student groups, labor unions, and opposition political parties joined the fray. Demonstrators assembled on the streets of the capital, and soldiers encircled the palace to protect the president. Soon, the demonstrations spread to other cities. Armed with dynamite, protesters blocked roads and blew up bridges, practically bringing the transportation system to a halt. In some regions, food, fuel, and hospital supplies were in short supply. Looting and fires destroyed businesses. Hoping to restore order, Sanchez de Lozada called on his army but bloody confrontations ensued and an estimated 70 people died. According to CNN, radio broadcasters took to the air, demanding the soldiers to back down. "Do not shoot," the announcers urged. "Let's stop the killing among Bolivians." Sanchez de Lozada withdrew plans for the controversial pipeline, but it was too late. The demonstrations continued. One street protester told the Houston Chronicle 's John Otis that the bloodshed "was the straw that broke the camel's back. More than anything, we wanted him to leave because of the killings." On October 17, 2003, Sanchez de Lozada stepped down from office. After his resignation, he fled to the United States. His vice president, Carlos Mesa, took over. For Sanchez de Lozada, the mess was far from over. Many Bolivians want Sanchez de Lozada brought to trial for the deaths that occurred during the uprising. View the full website biography of Gonzalo Sanchez De Lozada.